everyone benefits from experience on the farm with our horses and instructors. Learn about responsibility, teamwork, social skills and horses in a safe and relaxed environment. Our specially trained staff ensure activities are tailored to the ability level and ages of your participants. Activities may include...making treats or feeding, grooming and tacking, leading a horse through an obstacle course, and a quick riding experience. Come learn in a safe and relaxed environment. Choose to visit for either 1 or 2 hours and because we have an indoor arena your outing won’t be rained out. Contact us for pricing options for with/without riding. Increase the Impact of Your Trip...Incorporate fun curriculum before your trip. Download worksheets, fun games, and a Youtube Grooming Clip. goal of completing specific badges (Junior Horseback Riding badge or the Cadette Animal Helper badge). to lead some of the horses inside our arena. Do you work with a group of seniors? Contact us to set up an outing. With our indoor facility, your outing won’t be rained out! Current & Previously Participating Schools: Hunterdon County Education Services Commission (HCESC), Montgomery Academy, Lord Stirling School and Bridges to Employment. Community Based Instruction (CBI) is educational instruction in naturally occurring community environments providing students “real life experiences”. The goal is to provide a variety of hands-on learning opportunities at all age levels to help students acquire the skills to live in the world today. 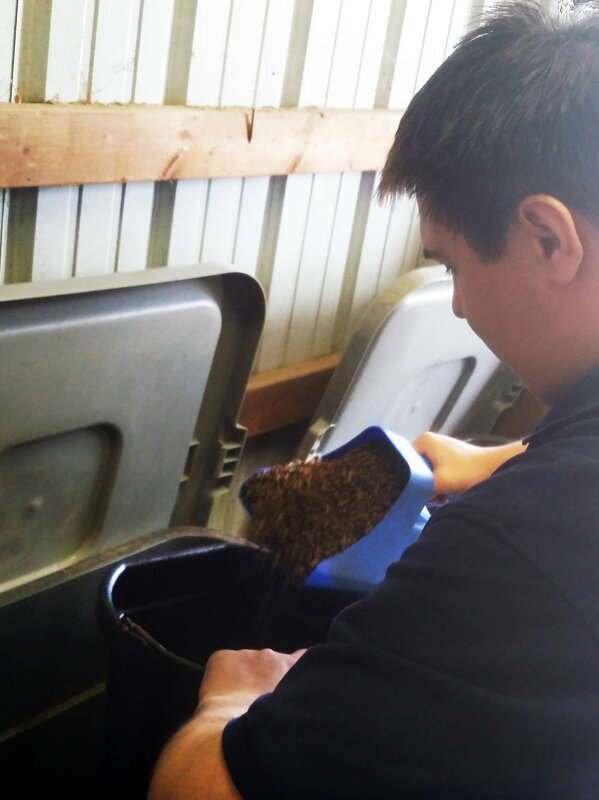 We focus on engaging students in education experiences along with functional job training skills through interactive activities with horse care, horsemanship and barn management. Session lengths may vary from 6-10 weeks, and are conducted in either individual or group settings and led by a collaborative effort with Mane Stream Staff and the school teachers/advisors or personal aids. DAYTOP SCHOOL: A substance abuse treatment center for teens and young adults, partnered with us in a pilot equine-assisted psychotherapy program, designed to develop behavioral insights and build communication and relationship skills. Daytop students meet for 8 weeks in two-hour sessions where a Licensed Mental Health Professional is partnered with a PATH Intl' Equine Specialist in Mental Health and Learning. The program utilizes ground activities with our horses to foster peer interaction. Daytop students explore their feelings by using the horses as a blank canvas. MATHENY SCHOOL: Students from the Matheny Medical and Educational Center in Peapack, New Jersey participate in 8 week programs offered twice a year. The program partners a Mane Stream therapist with therapists from Matheny. Students experience the movement of the horse, adapted activities in the barn and time in the Mane Stream classroom with their teachers.